If you're a website owner, choosing a web host is one of the most important decisions you will make for your business. If you're a reseller web host, that's even more true. The services you can deliver will directly depend on the service your web host delivers. In effect, you're going to be the middleman, so you'd better have someone backing you who will help you stay in business. So what should you, as a reseller web host, be looking for in a web host? In many cases, you should be looking for some of the same things your clients will be looking for. But you will find that you actually have less flexibility than they do, because you have a lot more riding on your web host. For example, let's say that you host a lot of little hobbyist websites, a few not-for-profit informational sites, a smattering of artist/artisan sites that sell their wares online, maybe even some sites for the local garage bands. They may or may not be upset if visitors to their websites experience slow loading times every so often, or even can't reach the site for a certain (brief) amount of time every month. How upset they get is going to depend on how seriously they take their website, and whether they treat it as a business. You don't have that option. As a reseller web host, your website and your ability to provide uptime is your business, period. And your potential customers will figure, by extension, if they have any problems getting through to your website, that you cannot provide good web hosting services. It really doesn't matter if it's your web host's fault rather than your own. Do you really think your customers will accept that as an excuse when they're calling you up to complain because their website is down? I know that when you're starting out with a new business, money is tight. You will no doubt be looking for every bargain you can find. Trust me on this, your web host is not the place to go with the lowest bidder. Oh, issues probably won't crop up right away. But after a while, you will start having slowdowns and down time. At this point your customers will start complaining to you about their websites not working properly. And you, in turn, need to contact your web host. If you didn't do your research fully when you signed up with this web host, this is when you might get a few unpleasant surprises. You see, you might not be the only one operating on a thin financial margin. Your web host might be using IDE instead of SCSI drives, or overloading its servers with too many accounts. (To be fair, reseller web hosts are often guilty of not allowing for enough of a margin as well). So how can you find out whether your prospective web host is reliable before this happens? One way to judge is by whether they offer a guarantee. Some hosts will guarantee 99 percent uptime, and they back that up by refunding all or part of your monthly fee if they fall below that. That gives them a real incentive to keep things running smoothly. Another way to tell whether your prospective web host is reliable is to visit its support forums. Browse around for a while and get a feel for what kinds of complaints the company receives. As you will see from the thread topics, customers can and will be very blunt about whether or not you should use a particular web host! That's okay, though; you want that kind of information. Remember, that could very easily be your company that's getting flamed...and if you go with the same web hosting company that people are putting to the torch, your company might be getting raked over the coals a few months from now. If you read about the kinds of problems others have been having with the web host you're thinking about using, you can hopefully avoid them. If they're bad enough, you will know that you need to avoid that web host entirely. Let's start with the most obvious features: web space and bandwidth. How much of that are you getting, and for what price? That affects what kinds of packages you can create for people, and what you can charge. Keep in mind what I said in the previous section: biggest and cheapest isn't necessarily best. Consider what kinds of customers you plan to serve. Are they likely to need lots of space and huge amounts of bandwidth? Don't assume that just because they're hobbyists doesn't mean they won't have some pretty big needs in this department. Most podcasters are hobbyists, and they are notorious for eating bandwidth for breakfast. Check out what other features your prospective web host provides. Remember, if your web host doesn't provide it, you can't provide it to your customers. Most of them will want to be able to have email addresses for their own domain--ones that don't include your domain or your host's domain. Other features you should look for are autoresponders and FTP access. If you're going to have clients that sell anything through their websites, ask your prospective web host about servers with Secure Sockets Layer (SSL), MySQL, and shopping carts. You will also want to know what kind of server the host is using (Microsoft, Unix, or open source operating system such as Linux). You or some of your clients might want to use server side scripts, and if you do not have this information you will not know what you can support. 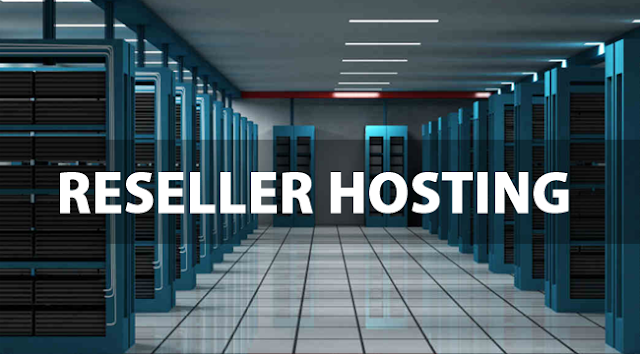 Remember, one way that many companies differentiate themselves is by how much they can offer their clients in the way of services; if this is the route you want to go with your reseller web hosting business, you need a web host who can help you with it. Remember the scenario I mentioned a couple of sections ago when I discussed the importance of a web host's reliability? I don't know of any web host that has never experienced down time--and if there ever was one, it would have made the news. (In fact, one web host did make the news for being located in downtown New Orleans and managing to stay up throughout the aftermath of Hurricane Katrina). When your customers experience down time, for whatever reason, you have to call your web host. This is when you will find out whether its customer and technical support is at the level you expect. Fortunately, you can do a little quality testing yourself before push comes to shove--before you even sign up with them, in fact. They should have their email and phone information easily available. Use this information. Send them an inquiry and see how quickly you get a response. If you really want to test them, send a sales-related question to their technical support department and see how fast they get back to you. They will probably have to reroute it to sales first, which will give you a chance to see whether they're on the ball. Don't judge it solely on speed, though; how well did they answer your question? Call the phone number, too. Do you connect to a person or a phone tree? How long do you have to wait on hold? Did the person you spoke with seem knowledgeable? Did they have to route you to several other people before you got an answer to your question (one of my personal pet peeves)? A number of web hosts have other forms of contact as well. I had a pleasant experience recently when I was doing a little research on web hosts. After poking around for a while on RackSpace's website, a window popped up offering me the opportunity to do a live IM chat with one of their people. I did; he asked me a few questions as to what I was looking for, and answered mine. I appreciated the opportunity to get some quick answers without having to send an email or get on the phone. You will probably want a web host that offers 24/7 customer support. People expect that these days. If your customers expect it from you (and they probably will, no matter what you say), you'd better be able to get it from your web host. Of course, this is another area where visiting web hosting forums and doing your research will serve you well. When people complain about web hosts, it's usually because of reliability and customer support issues. Those tend to be the sorts of things that get remembered, good or bad. So you want to know how your prospective web host is remembered...because that is probably how you will be remembered as well. You'll notice I've barely mentioned price in this article. There is a reason for that. I'm not saying that price doesn't matter, especially since reseller web hosting plans vary wildly in both price and the amount of space/bandwidth you get for a particular price. But all of the other factors I've mentioned are far more important. Once you narrow down the web hosts you would be willing to use based on reliability, features, and customer support, then you can think about price.